One of the most successful and cost-effective ways of increasing the competitiveness of industry, and thus contributing to sustainable growth and employment, is by incorporating into processes and products new scientific results and technology. As a generator of such knowledge and technology, in an area with high potential economic impact, IMDEA Software collaborates with industry in a variety of ways in order to foster technology transfer. In addition to such competitive collaborative projects and direct contracts, other forms of collaboration with industry are also illustrated in the yearly reports. We gather here just the main modalities with illustrative examples of each. Such modalities include the funding by industry of research assistantships at the Institute (doctorate or masters work and joint personnel) on industry-relevant topics (for example, Microsoft funds a research assistant working on systems software verification and Deimos Space has co-funded a research assistant working on rigorous development of satellite image processing), transfer of research personnel trained at the Institute to companies (IMDEA Software-trained personnel has already been transferred to companies such as Atos, Microsoft, Google, Logicblox, ...), funding by industry of research stays of Institute researchers at company premises (for example, Institute researchers have made industrially-funded extended stays at Deimos Space, Microsoft Redmond in the US, or Microsoft Cambridge in the UK), access to the Institute's researchers as consultants (which have resulted in direct industrial contracts such as for example the ongoing one with AbsInt Gmbh), access to the Institute's technology and scientific results, participation of company staff in Institute activities, etc. Another important form of technology transfer is the commercialization of the technology developed at the Institute. Given the controversy around software patents (and the impossibility of filing software patents in Europe) the Institute is combining the protection of its intellectual property (for example, two software registrations are currently being completed with INRIA and Microsoft Research) with other innovative business models, such as those based on open-source or free software licenses, together with the licensing of such technology and the creation of technology-based companies. In this line the Institute is actively working on the commercialization of the ActionGUI technology developed by its Modeling Lab. The Institute has also established long-term strategic alliances with the main stakeholders in the sector which facilitate longer-term collaboration across projects. This includes specially the companies which are members of the Board of Trustees or invited to these meetings (currently BBVA, Atos, Telefónica, and DEIMOS Space). 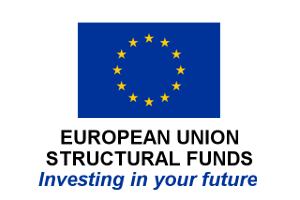 Also along the strategy line, the Institute participates jointly with industry in Spanish and EU Technology Platforms, such as the Technology Clusters of the Madrid Region, the INES Spanish Platform for Software and Services, the Internet of the Future Es.Internet Spanish platform, and the European Technology Platform for Software and Services. This allows aligning research agendas and facilitates joint participation in projects.